Garage Gym? My Kind of Home Improvement! If you have the space, a home gym is a great investment. For a (relatively) small amount of money you can put together a great home set up that will more than pay for itself in time. I’ll give you an example…. If you are a regular exerciser and spend £40 per month on gym membership, it’s £480 per year. Assuming the gym doesn’t increase their prices year on year (unlikely), over 5 years you’ll have spent £2,400 on gym membership. For a similar fee you could put together an impressive garage gym, assuming you shop well for your kit. If you’ve been a gym member of 10 years, imagine the home set up you could have with the money you’ve spent on membership! 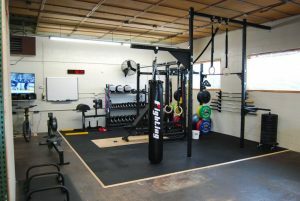 A great resource for anyone looking to build a home gym is Garage Gym Builder – a website with a huge amount of advice for anyone looking to set themselves up with great kit at a reasonable price. The site is full of reviews, advice, Garage Gym Builder discounts, suggestions and training help. It’s yours – you can do what you like in there! Swear, play music you like, make as much noise and mess you like. You’ll buy the kit YOU want. It’ll be tailor-made to your requirements. No excuse to not train! You’ll never queue for equipment. Once the kit is bought, there’s no ongoing charge! When you’ve finished your workout you can shower in your own bathroom! 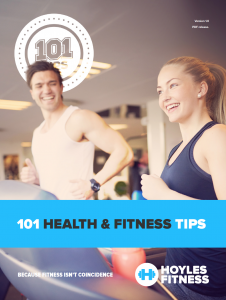 You can train whenever you want to – there’s no such thing as ‘opening hours’ at home! Sounds great doesn’t it? If you have the room and the spare money it’s an investment you won’t regret. If you shop well, a great home set up needn’t cost the earth, or even anywhere close to it!